If you’re thinking of undertaking a big challenge, you’re going to need to be prepared. Whether taking on a marathon for the first time or trekking across a country, don’t underestimate the dedication it takes to see it through. 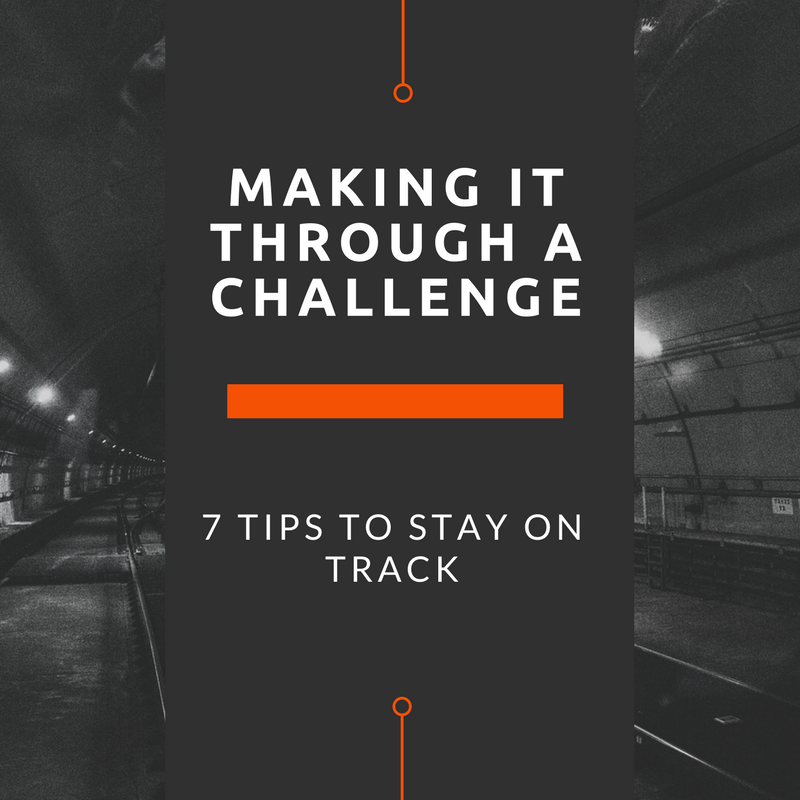 Deciding on a challenge is the easy part, following through with it and keeping up the momentum takes dedication and organisation- here are some handy tips to ensure that you keep motivated and complete your challenge! Make sure you know what your goal is, set out a map of how you are going to get there. Always remember the 5 P’s, Prior Planning Prevents Poor Performance. Without setting yourself a set of clearly defined goals, procrastinating will be too easy. How far do you want to go? How much do you want to raise for charity? Write down your goals somewhere where you will see them regularly so you can keep them at the forefront of your mind all the time. Regular and realistic goals in the build up to your challenge can help you turn something, which seems insurmountable into an achievable and realistic target. Don’t try and conquer the world on your first training session! Make your goals progressive, tackle one after the other and slowly work towards your target. Starting to sound like a flashback to SMART goals in school? Tell everyone what you’re doing and why you are doing it! If you are raising money for a specific charity then make sure everyone knows about it and why that one in particular. This will help you to raise the profile of what you’re doing and may even lead to inspiring someone else to take up their own challenge. Positive reinforcement is a powerful thing and you will find that people are more than happy to give a few words of encouragement. Write down three reasons why you are doing your challenge, keep looking at them to remind yourself why you get up on a rainy Sunday morning to get out for a training session. Many people undertake challenges in order to raise money for a cause close to their heart, these motivations can be very powerful and should be called upon when training, especially during the tough times! Training and keeping momentum up on your own can be tough, get a friend to take part in your challenge and get some friendly competition going to egg each other on. Make sure you agree to push each other no matter what, sometimes we all need a few words of encouragement to get back on the horse. Sometimes you will feel like there is no light at the end of the tunnel, and whilst there certainly is, there will be speed bumps along the way. A great way to offset this is to by measuring your progress and having certain milestones along the way. This is a great way of keeping yourself motivated whilst simultaneously visualising your progress. If you’re tracking your achievements, you may as well celebrate them too! If we don’t take a moment to stop and look back at what you have achieved so far, it’s easy to lose sight of how far you have come. You don’t need to go crazy, just be enthusiastic about all the PB’s you are conquering! At EtchRock we love a good challenge, we believe a challenge is all relative to the individual. It doesn’t have to be anything huge, just something to push you outside your comfort zone. “If it doesn’t challenge you, then it doesn’t change you”. If you have any tips you’d like to share then let us and your fellow readers know!